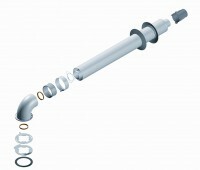 There is a vast range of accessories such as connectors, pipes, coupling flanges, and many others. 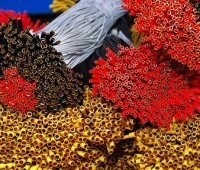 Diverse cable products for the electrical connection of heating equipment. 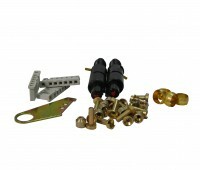 Microprocessor control board, combine the functions of the control of gas boiler and features ignition and flame control. Fume exhaust systems for gas boilers and boiler equipment for solid and liquid fuels have a number of advantages over conventional chimneys. Atmospheric burner injection partially premixed gas-air mixture is designed to burn gas (natural or LP) in gas heating appliances. Ignition electrodes are used for the ignition of gaseous fuel in gas combustion equipment, which works on the principle of ignition by high-voltage flashover. 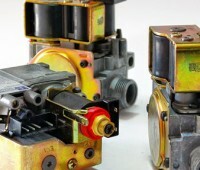 Gas valves represent multifunctional control units of supplying gas, providing safety exploitation of heating equipment. The pilot (ignition) burners are designed to ignite the flame core burner boilers, stoves and other burners domestic power equipment. The air pressure switch are designed to work as a safety switch for pressure, vacuum or differential pressure in systems that use air as the working fluid. 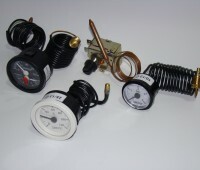 Indicating devices and adjust the level of temperature and pressure in the heating devices. 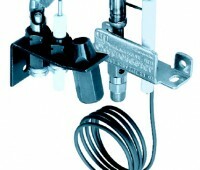 A thermocouple is a component designed to control the flame at the pilot. 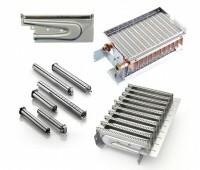 Is part of the equipment of automatic control and management of gas heating appliances.